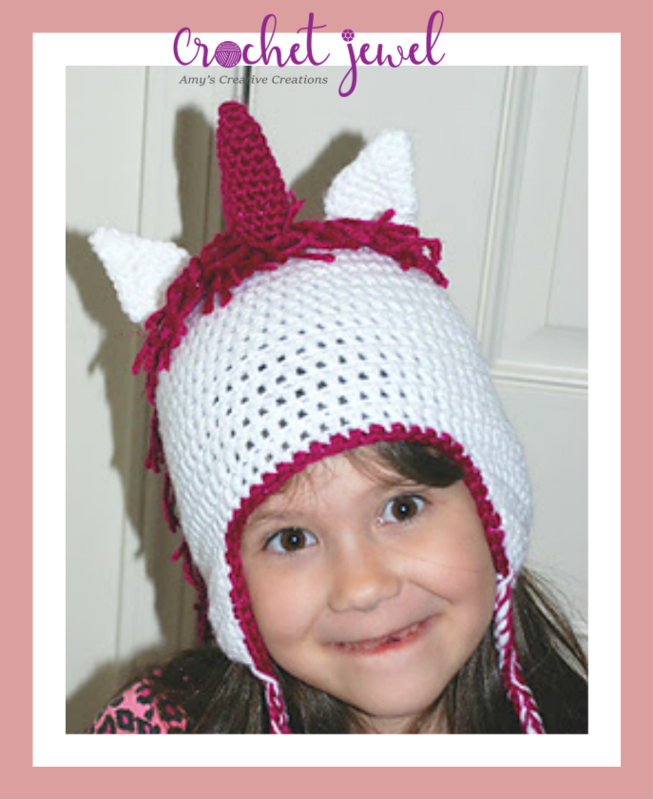 I made this fun unicorn hat for my daughter! She really has fun wearing this hat and pretending to be a unicorn! I used Sparkle Fushia and White yarn, or whatever you prefer. child 3-10 yrs, head cir., 19"-20 1/2 "", hat length= 7.5"=H hook, Made this for my 6 year old. Around the edge of the hat, I single crochet around the the hat with Fushia yarn. The braid from the center of the ear flap at the bottom, H hook, Fushia and White yarn, with a sl st in the center of the bottom of the ear flap and chain 30, and sl st it off and cut yarn. Rnd 1: Ch 2, work 4 sc in the 2nd chain from the hook. sl st.
Rnd 2: *work 1 sc in the next sc, work 2sc in the next sc, *Repeat around, sl st.
Rnd 3: *work 1 sc in the next 2 sc, work 2sc in the next sc, *Repeat around, sl st.
Rnd 4: work 1 sc in each sc around, sl st.
Rnd 5: *work 1 sc in the next 3 sc, work 2sc in the next sc, *Repeat around, sl st.
Rnd 6: *work 1 sc in the sc, work 2sc in the next sc, *Repeat, sl st.
Rnd 9: *work 1 sc in the next sc, work 2sctog decrease in the next sc, *Repeat around, sl st.
Rnds 10-11: work 1 sc in each sc around, sl st. Twice Fasten off. 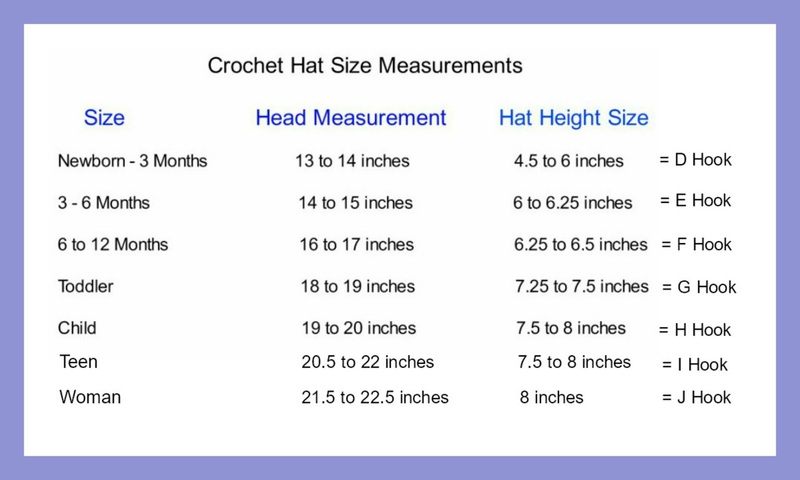 Attach the ears on top of the head of the hat about 2 inches apart. Rnd 3: *work 1 sc in the next sc, work 2sc in the next sc, *Repeat around, work in continual rounds without the slip stitch. Use a marker. Rnd 5: *work 1 sc in the next two sc, work 2sc in the next sc, *Repeat around. Rnd 6: work 1 sc in each sc around, sl st.
Rnd 7: *work 1 sc in the next three sc, work 2sc in the next sc, *Repeat around. Rnd 8: work 1 sc in each sc around, sl st.
Rnd 9: *work 1 sc in the next four sc, work 2sc in the next sc, *Repeat around. Rnd 10: work 1 sc in each sc around, sl st.
Rnd 11: *work 1 sc in the next five sc, work 2sc in the next sc, *Repeat around. Rnds 12-16: work 1 sc in each sc around, sl st. Repeat for a total of 5 times. Fasten off. Attach the Horn about 2 inches in front of the Ears, in the center. Take about 10 inches of fushia yarn at a time, and Slip Stitch around the horn in each previous double crochet around. Do this around the Horn for two Rounds in each previous double crochet. Then in the back of the hat for the Main, Slip Stitch a 10 inch piece of yarn in the center of the hat in about 10 dc across, but make it go down the middle of hat in the back.Then below that row, do another Slip Stitch of 10 inch yarn for 10 dc across, Repeat this until you have two rows left at the bottom, leave them untouched. Fasten off. Im not sure I understand your question?? https://youtu.be/oLZ8nBYaJUU here is the video for the edge. Make sure you count all your stitches and watch the video.